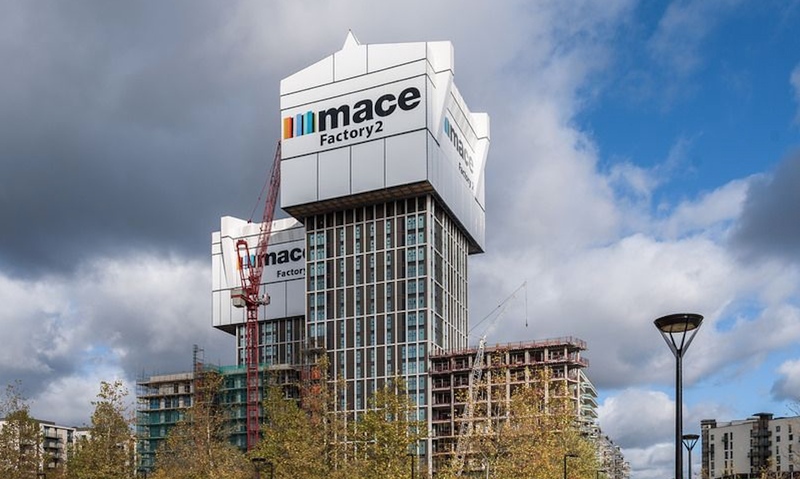 Mace has confirmed it will build the next major phase of the East Village development at London’s Olympic Park after using its celebrated rising factory method on the previous phase. 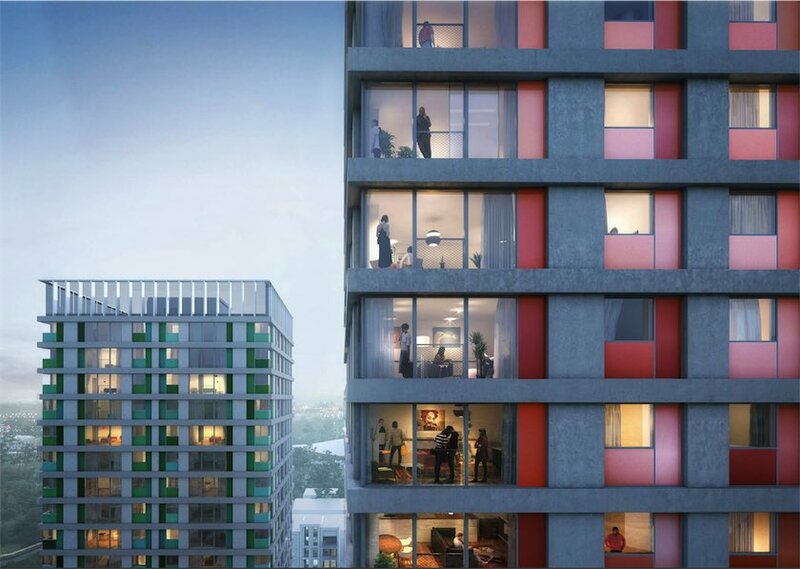 The designs of the towers feature a grid of glass-fibre reinforced concrete, with coloured panels within the grid. 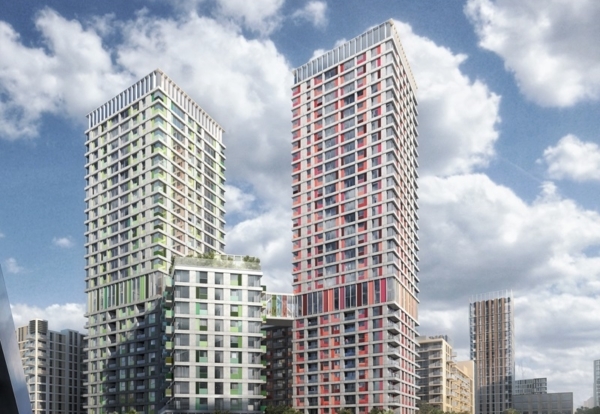 The £180m project will provide 524 new homes for private rental, taking the total number of build to rent homes for developer Get Living in the neighbourhood to 2,500. Architect Hawkins Brown has designed No6 East Village, on one of the last remaining development plots in the neighbourhood. Mace will build two towers, at 26 and 31 storeys, and two 10-storey pavilions linked together through an inhabited sky-bridge. The professional team includes Walsh as structural engineer and ChapmanBDSP as services engineer. Shaun Tate, a director for Mace, said: “This is an appointment we are very proud of. N06 is an architecturally innovative development that will provide a unique living and working environment. “Over the last two years, we have worked closely with Get Living on the delivery of N08 East Village and built a fantastic working relationship. It takes a close partnership between client and contractor to be effective, particularly when seeking to drive innovation in the construction sector. Mace plans to use the N06 project to further develop its innovative construction delivery methods. Details about the methodology will be revealed before construction begins on the superstructure. Construction is due to start in December, following completion of enabling works on the site.